Mary began playing the cello aged 7. Being of diminutive size, she had to wait a fortnight for a small enough instrument to be found. Studying with Paul Ives, she eventually grew tall enough to play in the Shropshire School of Music Symphony Orchestra and went on to win the senior strings section of the Oswestry Youth Music Festival in 1987. Mary then studied music at the University of Liverpool, having lessons with Cathie Bunting and Anna Shuttleworth. She took advantage of the many musical opportunities on offer there including Opus dir. James Wishart, the Oratorio Orchestra dir. Stephen Pratt, and a solo appearance at the Metropolitan Cathedral with the University Orchestra. Mary continued studies with Anna Shuttleworth, gaining performance and teaching diplomas. 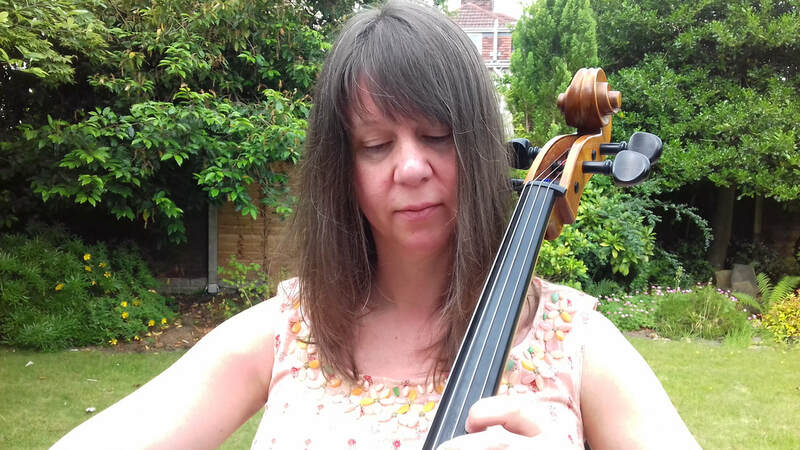 Mary has worked as a lower strings peripatetic tutor in Sheffield, and subsequently in Liverpool after returning to help launch Jubilee Church Liverpool in 1999. Mary now leads the children’s programme at Jubilee Church, and plays the cello regularly there. She is also having a fabulous time teaching on the In Harmony programme in Everton. Mary lives in Wavertree with her husband, two characterfully different teenage sons, and a cute but demanding cat. She plays regularly with the Cathedral Orchestra, and with the Wavertree String Quartet.